The Nike + Running App tracks your runs and helps you reach your goals - whether it's running your first race, or setting a new personal record. From first-time runners to marathon veterans, you'll get the measurement and motivation you need to run further and faster than ever before. Welcome to the world's greatest running community. Guidance and Training: Coach gives you training programs, coaching expertise, and daily workouts to get you race ready. Track Your Progress: Stay on track no matter where you are! You can also track your metrics at every mile with in-run audio feedback. Stay Motivated: Show off with your Nike+ level color and share your runs with your friends and let them cheer you on along the way. Compare and Compete: Nothing's as motivating as a little friendly competition. Compete with your friends for the top leaderboard spot or go toe-to-toe against them in a Nike+ challenge. Capture the moment: Show off your run with a thousand words. Take photos before, during and after your run. Customize them with your route, metrics and of course, a swoosh. 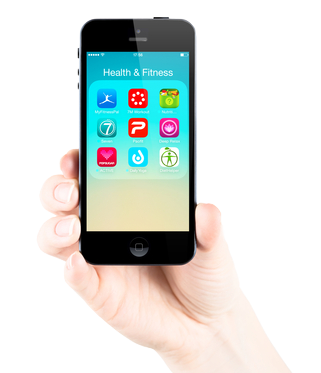 'Fitness Buddy FREE' is one of the top rated fitness apps, and for good reason. This app gives you access to over 1,700 different exercises to use on all kinds of equipment, ranging from barbells and dumbbells to kettlebells and resistance bands, so that a workout can be achieved regardless of what is available to you. This app is useful for gym veterans as well as newcomers, as it gives step-by-step instructions on how to perform each exercise. For those who don't have wads of cash for a personal trainer, an app like this may be beneficial for you. Keep track of body weight/measurements and watch yourself progress! Strava allows you to track your rides and runs with GPS, set challenges, and connect with your friends. Strava will provide you with new routes, keep you motivated, and push you harder by showing you how to stack up against others. This app is easy to use and will aide you in self-mastery. Download now, and start setting those personal records! Use it with a Fitbit, Jawbone Up, and even the Iphone 5s to count how may calories you are burning off throughout the day. If you’re interested in gaining strength, then the StrongLifts 5x5 app may be for you. StrongLifts 5x5 utilizes five free weight compound exercises (squat, bench press, deadlift, overhead press, and barbell row). The app will organize a three exercise workout to be performed three times a week with one goal in mind: get stronger! Quick workouts: designed to be completed in 45 minutes. A virtual coach: tracks repetitions and sets completed, displays time rested, recommends time to rest prior to the next set, and automatically adjusts weights based on performance. Free to download with no advertisements in the app!